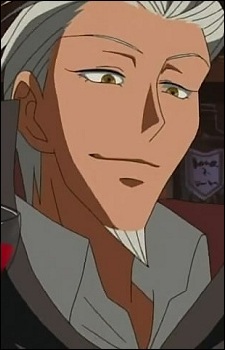 A male vampire with dark skin, silver hair and a goatee. Owner of the Sasanagi Hospital which is the vampires' base. He pursues the blood of Hime too but prefers to execute plans behind the scenes. Because he had a cooperative relationship with Reiri, he became looked upon with hostility from the vampire society, too.